I love how you did that dress form in two sizes! It has a really nice effect! this is soooooo superb card ! lovely !! 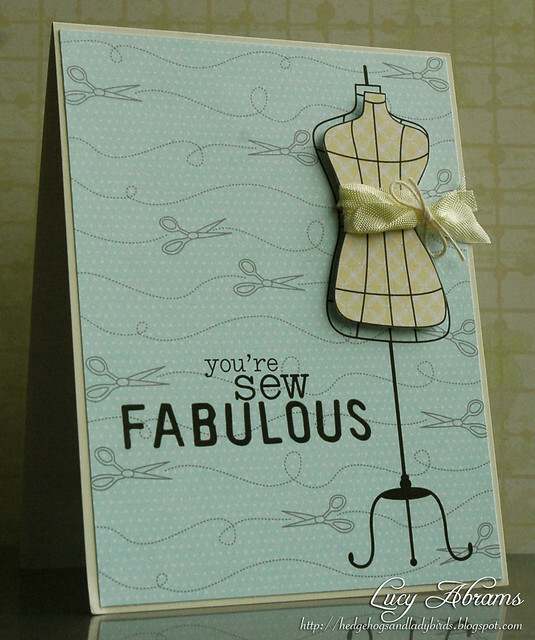 A simply stated, absolutely fabulous card! Lucy, this card is absolutely beautiful. Going to have to buy this kit now!